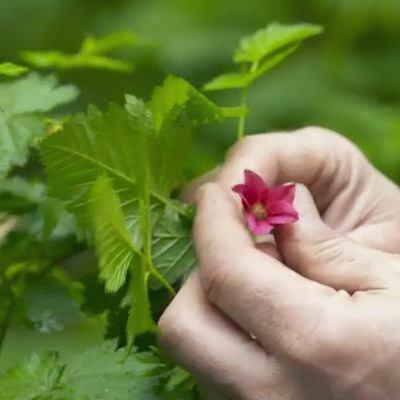 When it comes to Oregon’s culinary treats, none are more surprising than the amazing array of wild edibles that you can harvest, collect or forage from the outdoors. I recently joined a wild edible pro and his friends who really know the Oregon backwoods and tidal estuaries, where they find and harvest delicious treasures. John Kallas is a nutritionist, teacher and wild food forager who likes to say that when the tide goes out, his dinner table is set! 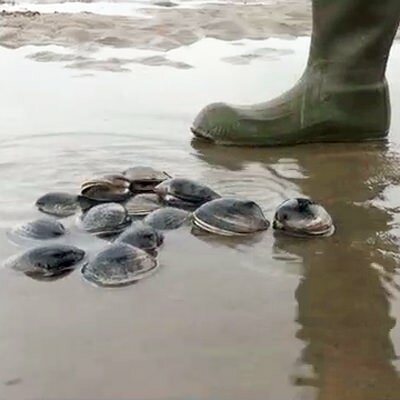 “Ah, this is the spot, but be careful ’cause these rocks are slick,” advises Kallas as he leads a small group of friends who are eager to tap into his expertise across a low tide estuary. 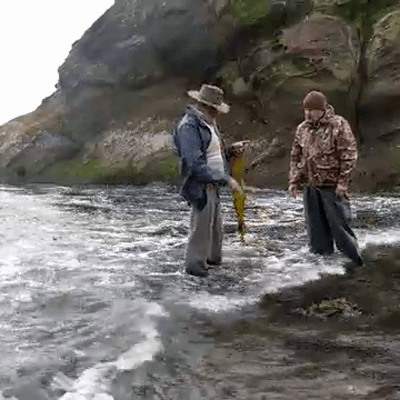 He says there are over 40 different seaweeds growing in the small corner of Tillamook Bay, such as angel wing kelp, nori and teriyaki seaweeds. Armed with scissors and plastic bags, each person quickly goes to work harvesting the varied seaweeds. Kallas notes that each harvester is allowed to gather one gallon of seaweed per day. Kallas first fell in love with exploring for wild edibles as a boy, and his passion has since blossomed into a lifetime of study, leading him to earn PhD in nutrition. 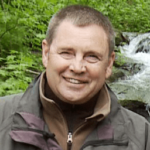 He know much about Oregon’s wild edibles — not just seaweeds — but all things edible, like butter clams. At nearby Netarts Bay, we hike across a broad sand flat that was exposed at low tide, providing easy access to the clam beds. There, we dig for abundant butter clams. Kallas’ harvest method is simple enough: using a clam gun, he digs down a couple of feet deep and goes to work excavating — by hand — each side of the hole. Each clam digger must have an Oregon Shellfish License and dig only a daily limit of 20 butter clams. That’s for sure! Soon, it is clam limits all around and time for our small group to make another move to a new location. Next, we travel to the nearby Tillamook State Forest where spring time leafy edibles were easy to find, such as lemony cascade sorrel, salmonberry blossoms and lady fern fiddle heads. Kallas cautions that knowing exactly what you harvest is critical safety when it comes to collecting and eating Oregon’s wild edibles. He suggests taking a class or reading the right book, like his Edible Wild Plants: Wild Foods From Dirt to Plate. The text identifies most of the wild edibles you will find in Oregon and also includes gorgeous colorful photos to show you what each plant looks like. There are also plentiful recipes that explain what to do with your abundance.